Today’s Challenge: Set a timer for ten minutes, and write it. Go! Today we had a field trip for work and lucky for me I did not have to take my car; instead, I got to ride the school bus. Where I work we several school buses and the women who drive them are terrific! It got me to thinking about school bus drivers in general. I’m not sure I’d want the responsibility of driving a several ton vehicle filled with the precious lives of my neighbors’ children, or my co-workers for that matter. The love what they do and always have a smile to share. 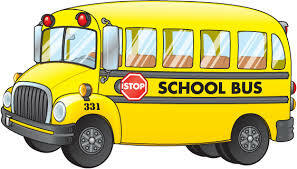 Today’s shout out of thanks goes to school bus drivers! For keeping our roads, children, and families safe, every day!